We bought our first induction cooktop 2 years ago and we have never regretted the decision. Initially, we were a bit skeptical about it since it was still new in the market and came with a unique technology. The cooking accessory uses electromagnetism to cook and works with the specified materials. So, using the wrong pot or pan meant that it either would not work or will work poorly. In the last 2 years or so, I have owned two units and have tested quite a number. Cooking is central in my world and I am always investing in what I think would improve my business. The Rosewill name has been making amazing strides in regards to a top induction cooktop. This one is among the best sellers and is preferred by both inexperienced as well as seasoned culinary experts. The RHAI-1300I has a good design for good operation and a large digital display for simplicity. It has 8 temperature setting ranging from 150 to 450 degrees Fahrenheit and is easy to operate. The elegant piece comes in a sleek design and trendy black color and will look good in any kitchen. On purchasing the unit, you also get a stainless steel pot which will work well with the cooking unit. The 9600LS cooktop counter burner from Duxtop comes in a practical design for easy operation. It includes an LCD touch control panel; it’s very intuitive and also easy to operate. It relays the reading quite clearly and is super sensitive for easy use. 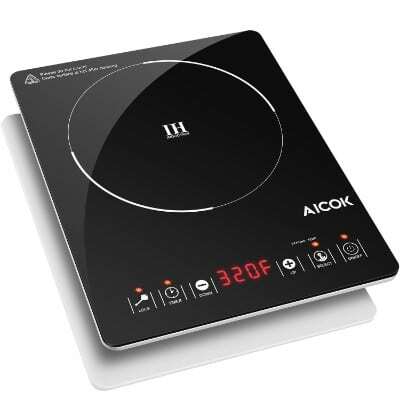 The induction cooktop is rated 1800-watt and should deliver adequate energy to cook your food. The lowest setting is 100 watts and has 20 power levels. You also won’t need to worry about uneven cooking since it has good heat distribution. The unit features a Child Safety lock mechanism to protect the “tiny hands” from harm or operating it and a Fast Boil button in case you want it to heat things much quicker. 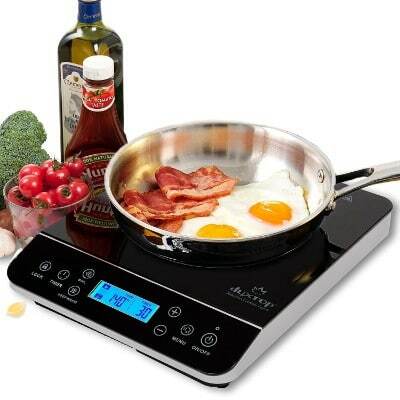 The 8100MC induction cooktop from Duxtop is one of the lightest and easy to carry. It’s designed for 120V AC power and includes a stylish and user-friendly digital control panel. 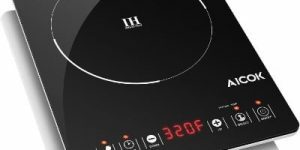 The sensitive touch panel allows easy selection of the preferred function while the 10 temperature ranges (140-460) degree F suits it for different cooking techniques. 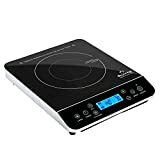 The induction cooktop boasts of 10 power levels with the lowest being 100 watts while the highest is 1800Watts.It is compatible with cast iron, steel, and stainless steel pans and pots. I love the smooth sleek top that cleans easily, the cool-to-touch surface, and the steady base. 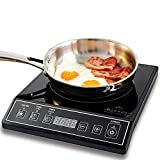 If you love unique things or standing out, then this induction cooktop is what you deserve. The copper colored piece has a one-of-its-kind color and will be quite noticeable in your kitchen. And just as it looks, the unit also delivers impressive performance thanks to the solid engineering. 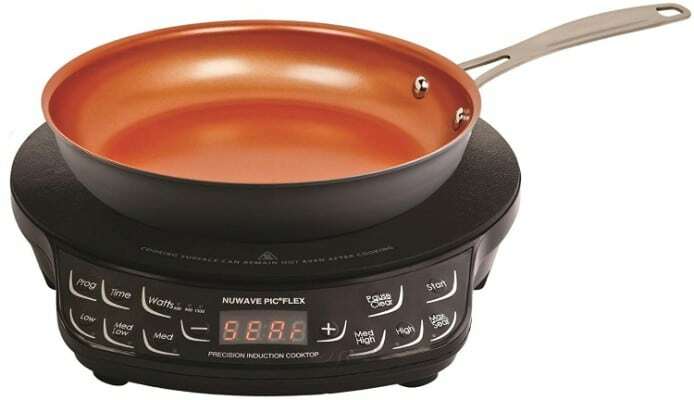 It has a maximum power rating of 1300 watts, comes with 5 cooking presets, and operates within 100-500 Deg F. The digital display is simple and easy to operate and will work with 8-12inch pans. Consumers say that it cleans easily and can handle the bangs, knocks, and rough handling pretty well. It also has good heat distribution for good cooking results. My wife, who is my cooking and business partner, still believes that this cooktop burner should be top on this list. Well, I do agree with her that it is one of the best induction cooktops on the market. The Secura 9100MC is fit for home as well as commercial use and is among the fastest in regards to heating. 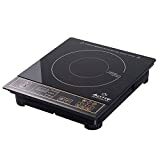 It features 15 power levels to handle varied needs and operates from a low temperature of 140 deg F to a maximum of 470 Deg F. The power ranges from 200 to 1800watts and is among the most versatile cooktop on offer. I like the digital control panel for its accuracy and simplicity, auto-pan detection for better functionality, and ability to work with steel, stainless steel, and cast aluminum enameled iron. This induction cooktop has been getting encouraging reviews since its launch into the market. And out of curiosity, I decided to check it out while helping my good friend at his restaurant. For starters, it looks quite elegant and professional. In fact, I think it looks more stylish than the ones I currently use. The black cooktop operates within a temperatures range of 100-500 Deg F making it ideal for most cooking methods. It features a sturdy design and base for limiting unnecessary movements and it’s also very energy efficient. The accessory is lightweight and very solid at the same time. It also heats fast and the surface stays cool throughout. I love the included 9-inch hard anodized pan for its high quality and good service. 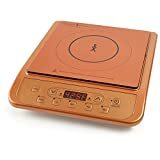 When buying this induction cooktop, I could tell that it would make a good addition to my catering unit. Well, 12 months down the lane and it still looks new and works quite well. The sturdy cooking appliance comes with an ultra slim design and will fit even in small kitchen spaces. I also love the lightweight that makes moving it or transporting very easy. This is possibly why I carry it with me in case am offering the catering service elsewhere. The versatile piece can cook different types of meals with no issues. This is thanks to the 15 preset temperatures and 15 levels of power. Have I mentioned that this unit cleans very easily and food doesn’t easily stick to the surface? 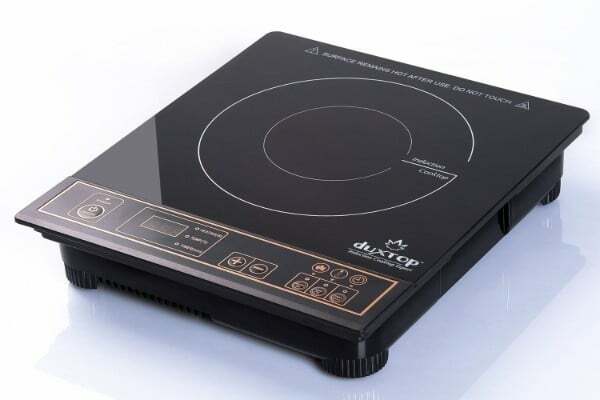 Energy Efficiency: Do you know that the induction cooktop is the most energy efficient unit? Other options normally have an efficiency of 40- 60 % and they lose energy due to heat and noise. However, the energy efficiency of the induction cooktop can be as high as 80%. This means you save on the energy cost, which has been rising over time. Safe: Options such as fuel stoves/ranges, microwaves, electric cookers and more will start generating heat immediately they are turned on. Is a culprit of always turning the unit too soon and forgetting to place the pot or pot? Absentmindedly, I touch the hot surface or place a cloth, which starts burning. 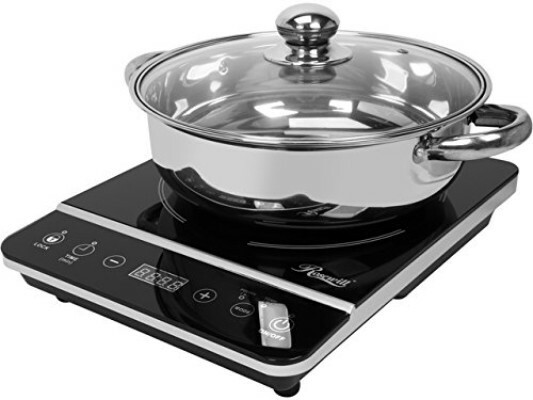 However, with an induction cooktop, it will only work start working if it senses the right pot or pan. The unit also does not generate heat or flames, this makes it very safe, and chances of accidental fires are reduced. Easy to Clean: This cooking item features a smooth and sleek glass top. The heat will penetrate through it with ease. I find cleaning the induction unit much easier than the other cooking appliances in my commercial kitchen. First, food remnants and spills do not stick to the glass as easily as on other materials. Secondly, it is easy to remove the food particles by a simple wipe. Third, glass is more resistant to scratching compared to metal. Four, you use little effort and the glass surface maintains its goodness. Fast Cooking: The unit is fast especially if you use the recommended cookware. The non-cooking points remain cool-to-touch since it only directs the energy to the designated point. According to statistics, the unit can cook twice as fast as other options in the market. This is also credited to its flat base that maintains good contact with the items. Wait for it to cool: Yes, you may be in a hurry and would want to clean the induction cooktop immediately. One thing I noticed it is that it does not generate lots of heat. However, you should still allow some time to pass before you wipe it. Cold water on a hot glass is harmful and it may make food spills stick more. Wipe it after use: This cooktop does not generate heat and has a cool-you-touch surface. It cools much faster than other types and can be cleaned almost immediately after use. Not waiting for too long helps to prevent food from sticking on the surface. Paper towels come handy in removing spills. Use a damp non-scratchy cloth: The glass top on the unit is tempered and very sturdy. It will resist scratches, chips, and scratches. However, using a very course cleaning cloth or rag may still introduce scratches and this will ruin its beautiful appeal. You should stick to a smooth damp cloth when wiping. Removing hard spots: You may notice water spots that are normally caused by hard water. To remove them, simply apply white vinegar on a clean paper towel or cloth and wipe. You may need to let the solution sit for a while if the stains are hard. You can also use ceramic cooktop cleaner as a substitute for the white vinegar. Clean the stainless steel component: Clean the stainless steel same as the glass. You can, however, use more force on the material since it is more resistant. A good cooktop scraper will help eliminate any stuck food without leaving any scratches. Restore the shine: Once done cleaning and the unit are dry, you can apply a cooktop cleaner cream on the surfaces. This makes the surfaces more resistant to watermarks, stains, spills and improves its appearance. 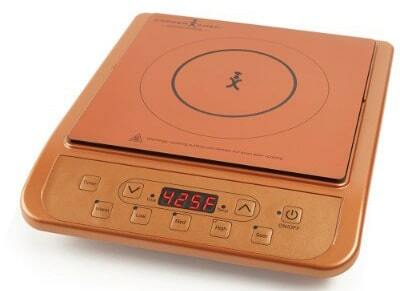 You should consider acquiring an induction cooktop for your home, office or commercial kitchen. It uses minimal energy, works fast, is easy to clean & maintain, environmentally friendly and safe. The device is also easy to operate, does not produce an open flame, and the surface is cool-to-touch. The biggest challenge to owning a nice product is identifying once from the so many. 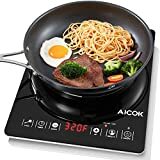 In this review, I have briefly touched on the benefits, the best induction cooktop, and given you tips on how to take care of it. Owning the right product should no longer be hard. Pick an item or two and improve the cooking experience. You can also surprise a loved one by gifting him/her this cooking aid.